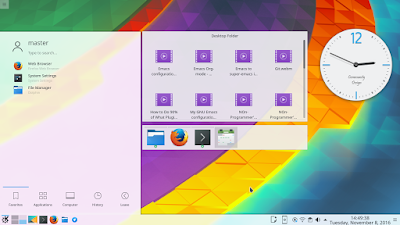 This is a list of examples about how to use KDE Plasma 5.8 for the complete beginners. 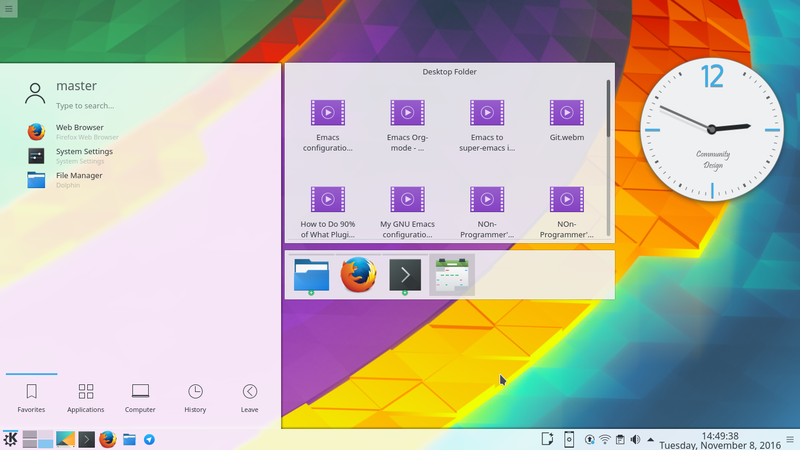 Plasma 5.8 released at Tuesday, 4 October 2016 (a month ago). It brought the beautiful, highly customizable, with easy to use experience for all users. This introduction article created by using Plasma 5.8 on top of latest KDE neon operating system. 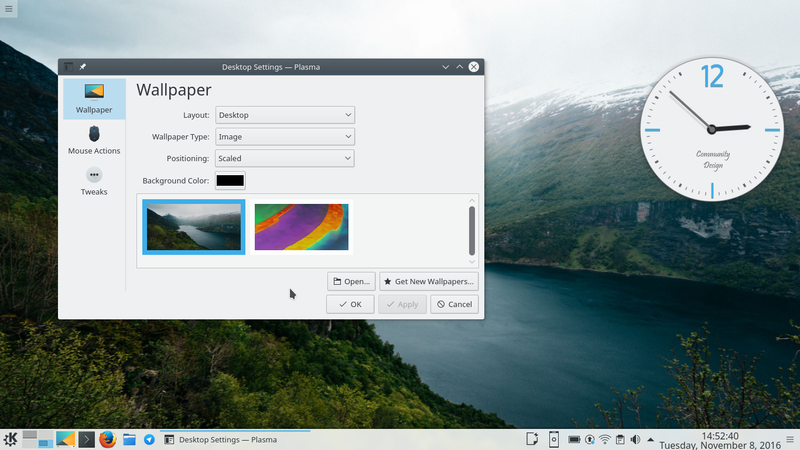 Here is the desktop of KDE, Plasma, looks like. It brings a traditional desktop layout with bottom panel with task bar and system tray, a desktop area with widgets (easy to add & control), and a control button on the top-left corner. 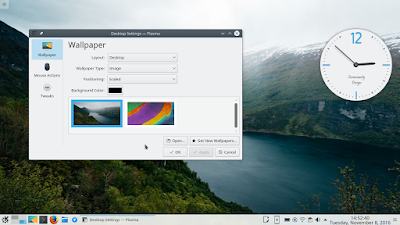 To change wallpaper in KDE Plasma, right-click on desktop > Configure Desktop > click "Open" button > look for image files and choose one > Apply > OK.
To add a new panel, right-click on desktop > Add Panel > Empty Panel. Basically this will create a blank panel horizontally on top of screen. This new panel is very useful to contain some of your chosen widgets or icons. and then click More Settings > Auto Hide to make this Panel gone while it's not needed. 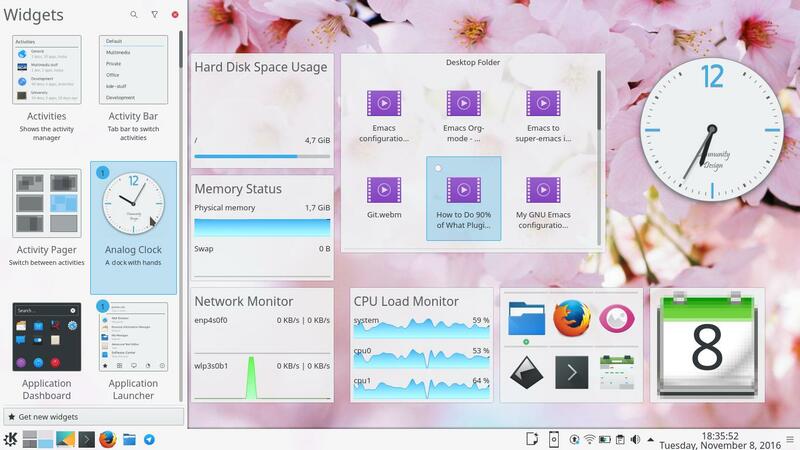 KDE provides so many desktop widgets by default, from clock until CPU monitor. 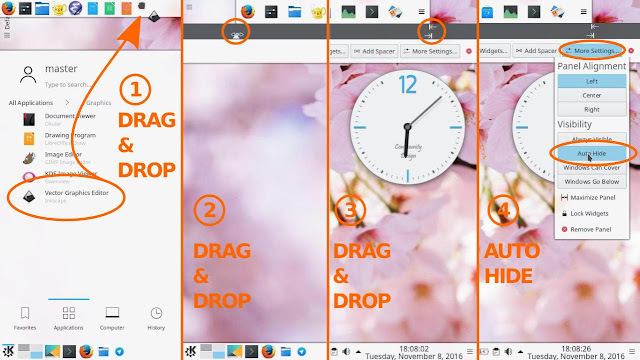 To add a widget, click on top-left button on desktop > Add Widget > look for a widget > double click it to add to desktop. Here, for example, my desktop widgets arrangement. 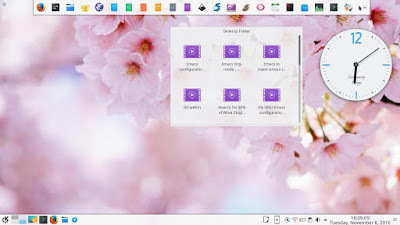 KDE Connect is truly an innovation for desktop environments in whole GNU/Linux community. You should try it to see how amazing it is.